The HSC pump is a horizontal, single stage, double volute, axially split case centrifugal pump designed and built according to the Hydraulic Institute (HI) standard (BB1 type). 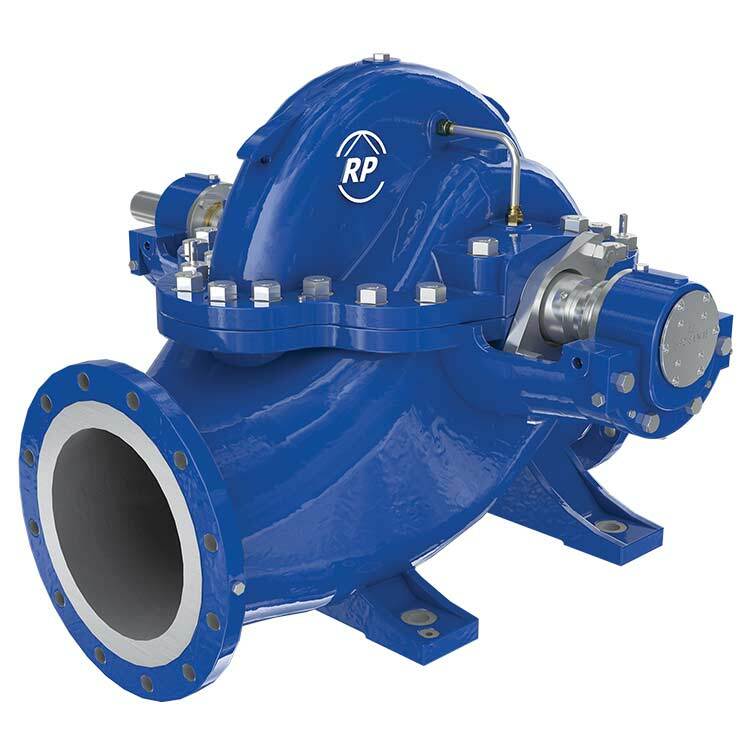 It is part of the HS/ZW range of split case pumps by Ruhrpumpen which includes the: HSD, HSL, HSR, HSM and ZW models. Applications Petrochemical, general industry applications, power generation plants, municipal water systems, mining operations, fire protection service. Horizontal, between bearings, single stage, axially split centrifugal pump. The HSC is NSF ANSI 61/372 compliant and adheres to the latest lead-free requirements of the U.S. Safe Drinking Water Act. For fire protection systems see the split case fire pump.